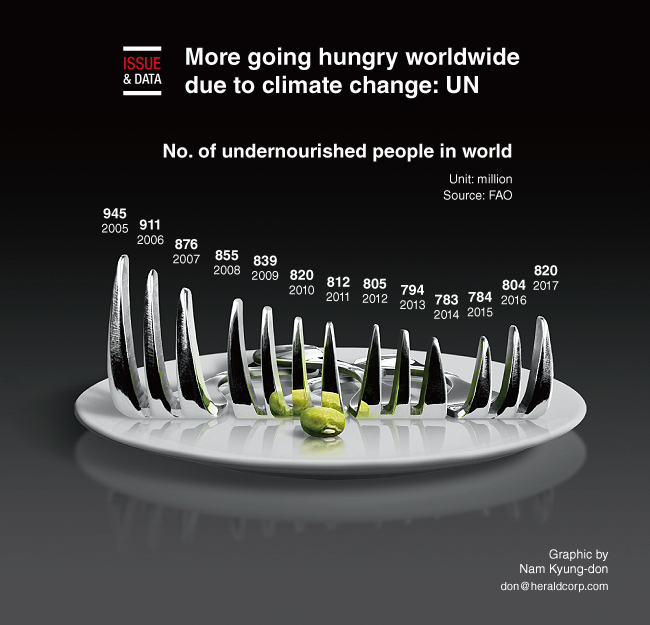 The United Nations says the number of undernourished people in the world is growing and returning to levels seen a decade ago, reversing recent trends in large part due to climate change that is wreaking havoc on crop production in many parts of the developing world. Major UN agencies said in an annual report Tuesday that the number of people facing chronic food deprivation increased to 820.8 million in 2017 from 804.2 million in 2016. South America and Africa showed the worst trends.